There are several things that as a kid you presume you'll be able to do when you become an adult. One of these is cook a Sunday Roast. Well I'm afraid I don't have a clue! My housemate and I used to make "Fake Roasts" some Sundays which basically consisted of us using our very limited skills to throw together something that you could almost describe as Sunday Dinner but in reality it was pre-prepared food we heated up in the oven. We took Simon's Mum to the P&P for Sunday lunch a few weeks ago and this week Simon's cousin was in Toon for a gig so finding somewhere for good Sunday grub seemed like a great plan. This time we decided on the Living Room, somewhere I've popped into for drinks but was yet to try the menu. The Living Room has only ten restaurants in the UK which I think makes it pretty special. There isn't one in my previous home cities of Norwich or London so it's not really somewhere I've ever been that familiar with. 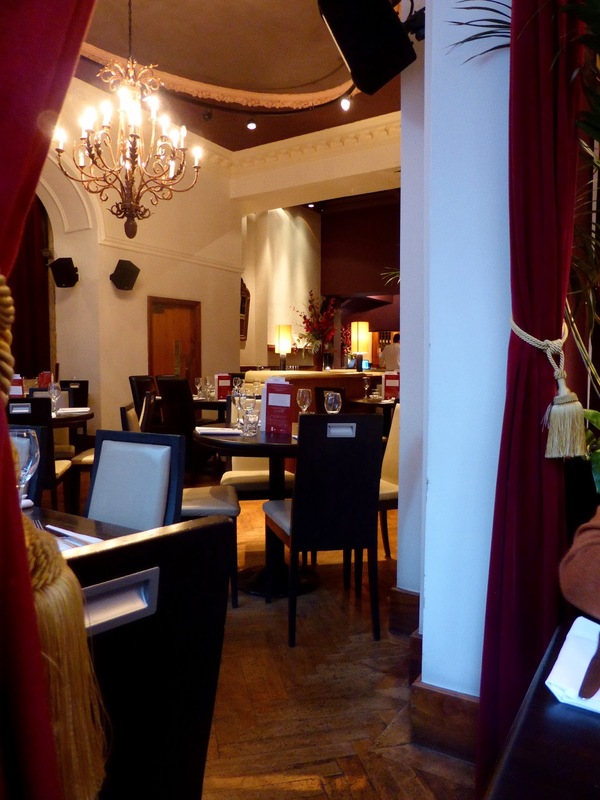 The restaurant in Newcastle has a really cosy and sophisticated bar area with a larger bar downstairs complete with gorgeous white leather booths whilst the restaurant is huge with chandeliers and velvety red curtains. 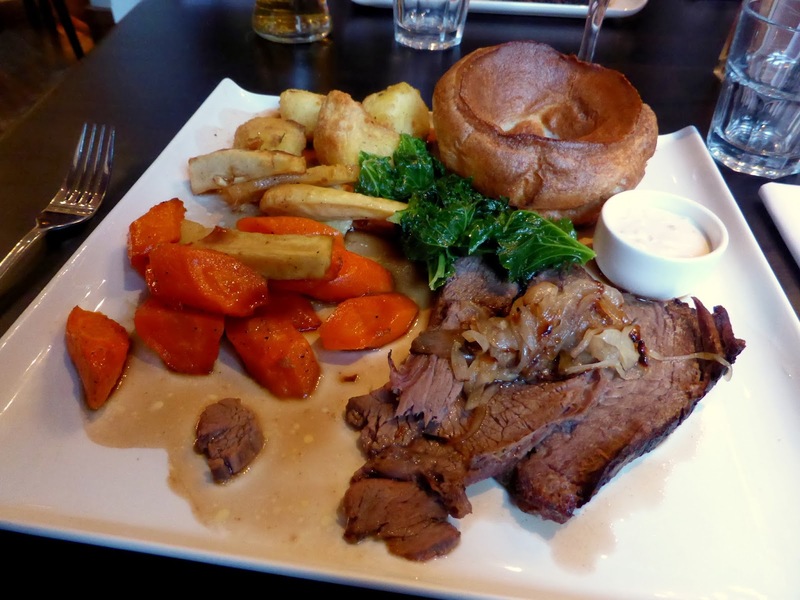 The best thing about having a roast in the Living Room is that you get to indulge in the Sunday Comforts menu which offers you a set menu of 2 courses for £14.95 or 3 courses for £17.95. As I don't eat anywhere near enough red meat at home I opted for the roast beef served with horseradish onions, yorkshire pudding and carrots. It was so lovely, and I was enjoying myself so much I was even brave enough to slap some horseradish on my meat, something I've never been very keen on. It worked really well and I'm glad my taste buds are maturing. My only slight issue with the meal was that the food wasn't hot enough, I think probably as it was served on such a huge surface. It was a shame, but delicious nonetheless. 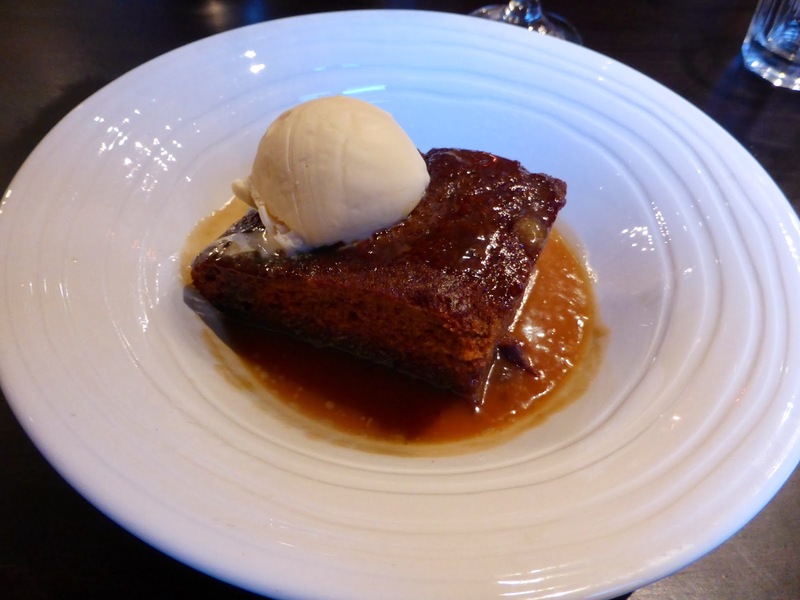 For dessert I opted for a proper Winter warmer - sticky toffee pudding with clotted cream ice cream. It was absolute perfection. I will definitely be heading to the Living Room again, I have my eye on their afternoon tea and an evening of live music and cocktails also sounds right up my street.